On November 15 in Abu Dhabi, the U.S. Secretary of State Kerry announced that the Houthis, Saudi Arabia and the United Arab Emirates had agreed to a cessation of hostilities in Yemen beginning on November 17. Kerry had met with Houthi representatives the day before in Oman, following which, Kerry said, the Houthis had agreed to a ceasefire and to proceed with peace negotiations based on the new roadmap presented by the UN Special Envoy to Yemen, Ismail Ould Cheikh Ahmed. Among the primary tenets of Ould Cheikh Ahmed’s roadmap were that Houthi fighters and the allied forces of former President Ali Abdullah Saleh would withdraw from the cities of Sana’a, Taiz and Hodeidah and turn over their heavy and medium weapons; a new national unity government would then be formed and a new vice president appointed to whom the current transitional president, Abd Mansour Hadi, would transfer power, and the new government would then oversee the country’s political transition. It was generally understood that this peace plan would lead to Hadi’s removal from power and the political process. Before announcing the ceasefire Kerry had, however, failed to secure the consent of Hadi himself. Perhaps unsurprisingly, the Hadi-led government rejected the ceasefire and the new roadmap outright, claiming that it was never consulted on the cessation of hostilities and that the peace plan departs from UN Security Council resolution 2216 which, among other things, calls for the reinstatement of the Hadi government in Sana’a and the full implementation of the GCC Initiative. Kerry’s announced ceasefire, and another subsequently announced by the UN Special Envoy to take effect November 19, were both heavily violated and quickly rendered obsolete. On November 28, the Houthi movement and the General People’s Congress (GPC), loyal to former President Saleh, unilaterally formed a new “Government of National Salvation”, comprised exclusively of members from their own ranks. Houthi spokespeople stated that this decision in no way forestalls their commitment to the international peace process. 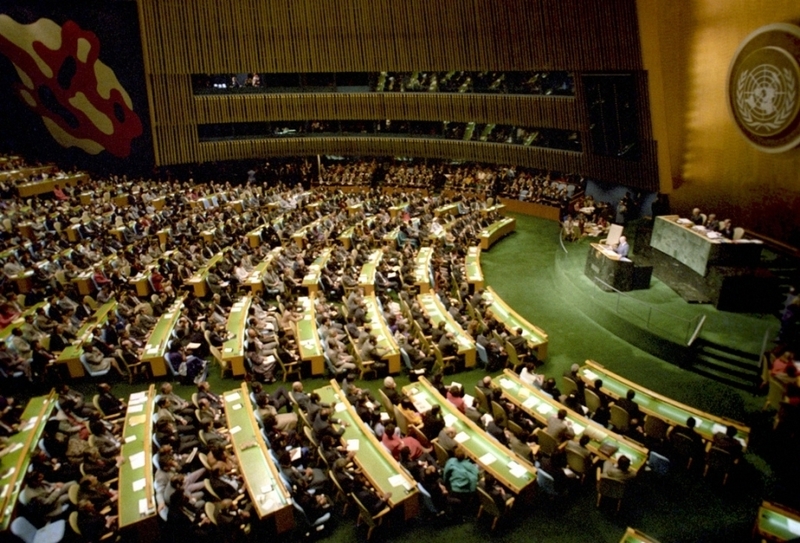 Given previous directives from the UN and individual member states specifically against taking such action, however, the formation of the new government could not have occurred without the awareness that it would almost certainly not be recognized internationally, and indeed that forming this government would be widely perceived as a provocation and an obstacle to peace. From the Houthi-Saleh point of view, however, the move can be seen as an attempt to strengthen both their authority over areas they control, and their mutual alliance. The Houthis’ rampant corruption, repressive tactics and ineffective governance, combined with the hardships imposed by the conflict, have inflamed popular frustration and local resistance against the current ruling body, the Supreme Political Council, which the Houthis and Saleh instated at the end of July this year. The newly announced government can be seen as an attempt to address these grievances. Tensions during the recent peace negotiations and competition over limited financial and military resources have strained the Houthi-Saleh relationship, and thus the new government can also be seen as an attempt to reassert unity. The new Houthi-Saleh government includes 42 ministerial positions, with the distribution of positions laid out such that where a minister has been drawn from one side, that minister’s deputies were drawn from the other. In trying to obtain a balance, however, there has been significant duplication in responsibilities amongst the ministerial posts. For instance, in addition to there being an interior minister, there are also two deputy prime ministers – one for “security affairs” and the other for “internal affairs”. There is also a deputy prime minister for economic affairs in addition to ministers for finance and economy. The makeup of the new government suggests that the GPC prioritized securing ministries associated with finance and revenue – such as oil and telecommunications – while the Houthis prioritized ministerial positions associated with defence, media and culture. The Houthis asserting control of the defense portfolio was likely an attempt to counterbalance the influence of the Republican Guard – a powerful, well trained and equipped military force, largely independent from the Ministry of Defence and loyal to Saleh’s son, Ahmed Ali Saleh. On November 29, Egypt’s delegation to the UN circulated a draft statement to the Security Council condemning the so-called “Government of National Salvation.” The statement called the new government “null and void” and urged all UN member states to “withhold any support to, and official contact with, this entity.” As of this writing, however, council members were still debating whether or not to adopt or amend the statement. OCHA also reported that over the last 10 months (January-October), national and international humanitarian partners have reached more than 5 million people with direct humanitarian assistance across Yemen’s 22 governorates. This has been accomplished despite the access constraints imposed by the warring parties. To date, however, the 2016 Humanitarian Response Plan has received only 58 percent of its $1.6 billion funding appeal. The $684 million shortfall will be rolled over into 2017. Last month Oxfam issued a press release stating that “Yemen’s population is at risk of catastrophic hunger as food imports continue to plunge and on current trends the war torn country will effectively run out of things to eat in a few months.” A cholera outbreak also took on new urgency, with OCHA reporting 6,016 suspected cases in 86 districts, and 76 deaths. The UN Office for the Coordination of Humanitarian Affairs (OCHA) had, as of November 30, received 58% of the US$1.63 billion it has called for to implement its 2016 humanitarian response plan in Yemen. As of this writing, the UN Verification and Inspection Mechanism for Yemen (UNVIM) had not reported the number of cargo vessel that had applied for or received permission to offload in Yemen in November. Food imports have declined drastically and from August to the start of December were on average, per month, less than half of Yemen’s needs.